Søren Assenholt will be performing "45°" as a cultural intervention utilizing a chain saw. 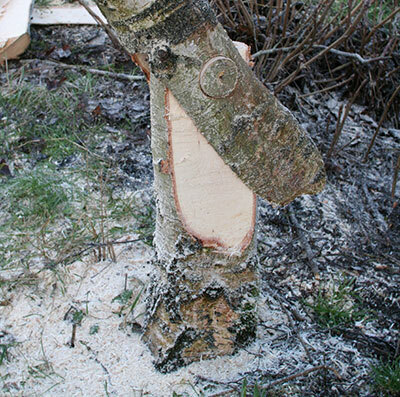 He will cut a hinge into a tree, and by removing a piece of wood make the tree support itself. The performance is part of an ongoing investigation of bio-mass and manual labor. Søren Assenholt is a student at the Royal Danish Academy of fine art. He's born in 1975 and lives and works in Copenhagen, Denmark.